Charlie Munger has been friends with Warren Buffett since 1959. He's been his right hand man since 1978. 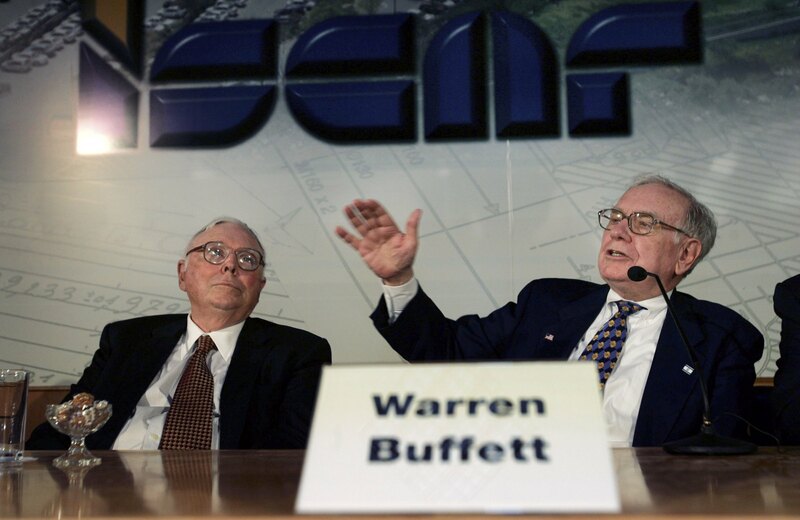 The two have experienced stupendous success together building Berkshire Hathaway into an investment business with more than $736 billion in assets. Munger is the vice chairman of Berkshire Hathaway and worth $1.75 billion. By any standard, Munger has had a charmed life. He is incredibly successful and wealthy. At a recent meeting at the Los Angeles offices of the Daily Journal Corp. (He is the publisher), Munger was asked to reflect on his life. He told CNBC that the secret to a long and happy life is simple. Then he rattled off a list of things that lead to a happy life. "You don't have a lot of envy." "You don't have a lot of resentment." "You don't overspend your income." "You stay cheerful in spite of your troubles." "You deal with reliable people." "And you do what you're supposed to do." "And all these simple rules work so well to make your life better. And they're so trite." Do you know what all of those things are? They are doable whether you have $65 in the bank or $1.75 billion. It is all about attitude and choices. Munger agrees. His recipe for happiness is logical. He said that staying cheerful is a wise thing to do. And to stay cheerful you have to let go of negative feelings. "And can you be cheerful when you're absolutely mired in deep hatred and resentment? Of course you can't. So why would you take it on?" Munger grew up in Omaha, just like Warren Buffett. They both worked at Buffett's grandfather's grocery store, though not at the same time. They were introduced by a mutual acquaintance who thought they'd hit it off when Buffett was 29 and Munger was 35. They had dinner together and quickly bonded. In 1978, Buffett convinced Munger to leave his own investment firm to join him at Berkshire Hathaway. More than a decade earlier Buffett had also convinced Munger to leave his law firm because he wasn't using his full talents in that job. Warren Buffett has given Charlie Munger much of the credit for the success of Berkshire Hathaway. In a letter to the shareholders, Buffett mentioned that before joining Berkshire Hathaway, Munger worked as an attorney and as an architect. "Consequently, Berkshire has been built to Charlie's blueprint. My role has been that of general contractor, with the CEOs of Berkshire's subsidiaries doing the real work as sub-contractors," he said.